At first sight Roger Ballen's work seems rather perturbing and harrowing. Dirty, ugly, grimy characters populate his images as do animals, quite often vermin. Of the people we mostly see their hands, their feet, their limbs, their tongues, but rarely their faces. If we do, they tend to be ugly or deformed. His still lives are composed of clutter such as wires and coat hangers, and they are set against a backdrop of plastered walls, rough-spun cloth and graffiti. The pictures contain hard-cast shadows and strong contrasts. In Ballen's visual world, white seems white and black seems most definitely black. There appear to be no shades of grey, no quarter given, it all seems relentless and without remorse. But then you look again. Ballen's photography is like a Tom Waits album. At first you do not know what to make of it. Should you bin it? Listen to it again? You give it another try, and just like with Tom Waits' songs, Ballen's pictures start to grow on you. You start wondering. What is the photographer actually trying to express with these pictures? Could it be that he is trying to shed some light into some really sad and forgotten corners of society? There is some of that in his early work. But especially the later series are a form of fiction, although the works contain enough traces of reality to perhaps hover on the fringes of documentary photography. After all, Ballen works with people he encounters during his explorations, they are not actors or models. The locations are real, and so are the props, and Ballen finds all of them at the utter fringes of society. The images then become miniature dramas about the human condition. The exhibition Shadow Land: Photographs 1983-2011 at the Manchester Art Gallery is well produced. It contains no frivolous or unnecessary additions, but is simply and spaciously presented on light and dark grey walls and in a straight line. The works are divided in the projects Ballen has pursued up until now. This includes the early series Dorps and Platteland, dealing with the poor rural white population of South Africa. The exhibition continues with Outland and Shadow Chamber to his most recent work Boarding House and Asylum, where the focus has shifted to the South African urban poor of all backgrounds. The projects are presented chronologically. Ample text is provided with each project, giving sufficient background information to situate the works both socially and culturally as well as artistically. 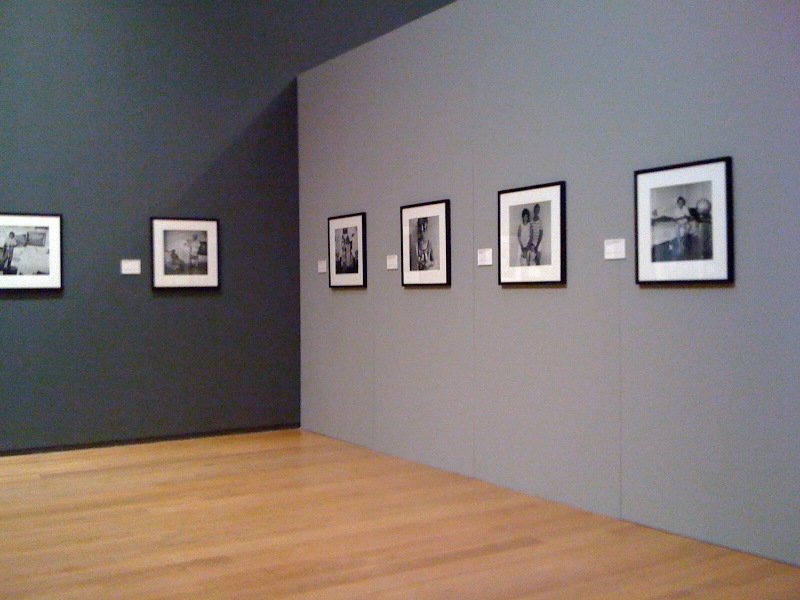 The exhibition shows excellently that Ballen's development as a photographer is gradual and very subtle. After all, he hit upon his trademark style very early on in his career. Once he stepped inside people's living quarters, he decided not to leave them ever again. Since then he has refined his style and pushed the boundaries as far as he could. He has moved in closer and closer to his subject, be they people, animals, things or a combination of all three. The discerning observer finds a lot of humour in his works, a subtle irony and absurdity, a gentle playfulness. He sets the stage with the people and props at hand, and then waits patiently for that very particular decisive moment, when someone pulls a funny face or an animal suddenly sprints across the floor. 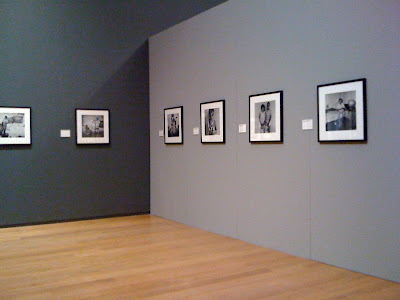 A good exhibition by a fascinating photographer. 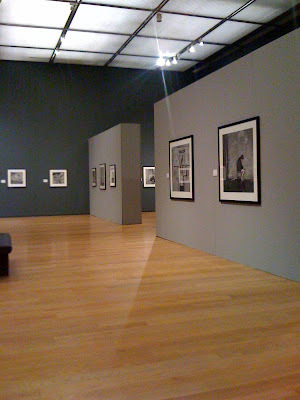 Roger Ballen features in The New York Times Photographs exhibition.